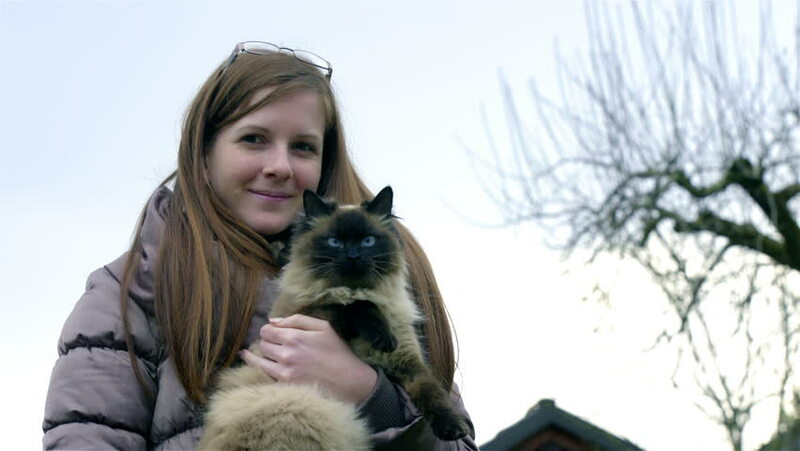 Woman and cute cat portrait outside in nature 4K. Cat with black head and silky coat in woman lap, looking in to camera. Woman smiling. hd00:08Woman and cute cat portrait outside in nature HD. Cat with black head and silky coat in woman lap, looking in to camera. Woman smiling. hd00:27Girl Holding a Small Dog. Teenage girl holding a small dog. The girl with the blonde. The girl in jeans.